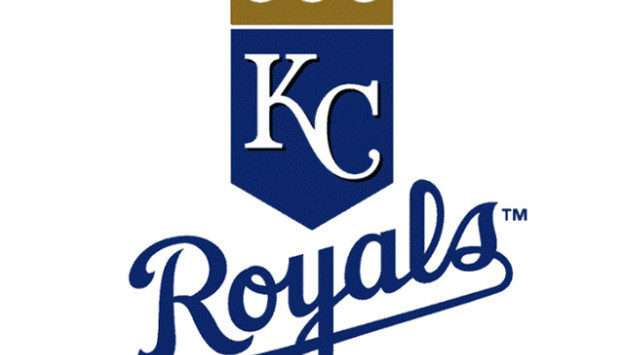 KANSAS CITY — The Royals’ first sweep of the season was in reach on Sunday afternoon. Drew Butera wasn’t going to let that go to waste. The catcher’s three-run inside-the-park homer in the seventh inning sent the Royals to a 5-3 win over the Twins at Kauffman Stadium after Minnesota center fielder Jake Cave came up short diving for the ball. As Butera lumbered around third with home plate in his sights, the crowd was electric, seemingly already celebrating the homer. Manager Ned Yost, however, was a bit less sure. But Brian Dozier’s relay throw came in just short, allowing Butera to slide in safely. He was met at the plate by a jumping Alcides Escobar, who scored on the play along with Alex Gordon to give the Royals a 5-2 lead. Butera knew he had a chance at a big play when Cave missed the ball, but he didn’t think for a second he’d make it as far as he did. Butera’s heroics came on the heels of a stellar performance by batterymate Brad Keller, who struck out a career-high eight and allowed three runs across seven innings in his first start of the second half. Keller came into the second half off two disappointing starts in a row, including the shortest of his career against the White Sox on July 13. The rookie was glad to respond with a dominant outing like this, and if you ask him, the long layoff may have had something to do with it. Yost, who has praised Keller’s mental approach all season, was confident the right-hander would bounce back. Keller came out firing on all cylinders early, retiring the first 10 Minnesota batters, and took a no-hit bid into the fourth inning before Dozier slapped an RBI double to right field. Dozier eventually scored on Logan Morrison’s fielder’s choice for a 2-0 lead. Keller allowed a leadoff homer to Max Kepler in the eighth, followed by a walk to Ehire Adrianza that prompted Yost to go to his bullpen. Tim Hill came on to face pinch-hitter Robbie Grossman in a matchup that didn’t favor the lefty reliever on paper. Hill retired Grossman on a nice comebacker before striking out Joe Mauer and getting Eddie Rosario on a groundout to escape the inning. Reliever Wily Peralta came on in the ninth to earn his third save of the season and second in two days. Gordon got the Royals on the board with a game-tying double down the left-field line in the fifth. It was Gordon’s 500th career extra-base hit, which ranks fifth on the club’s all-time list.